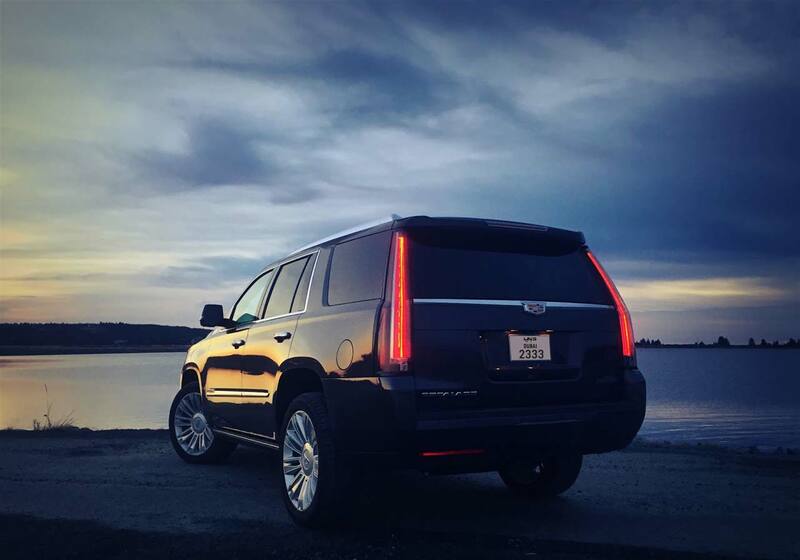 Arrive in ultimate style with a Cadillac Escalade ESV car rental. High capabilities meet maximum comforts in this luxury SUV. 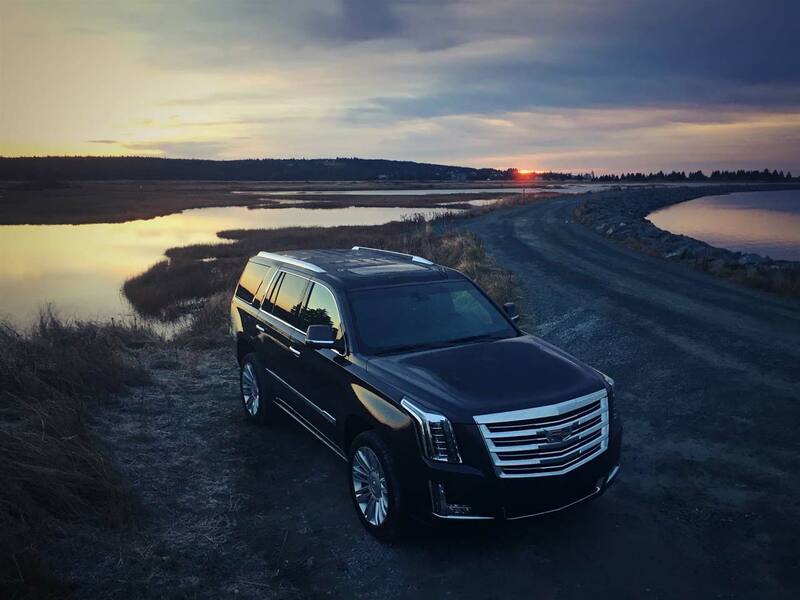 No matter where you are heading, when you rent a Cadillac Escalade ESV the drive will become as much fun as the destination. 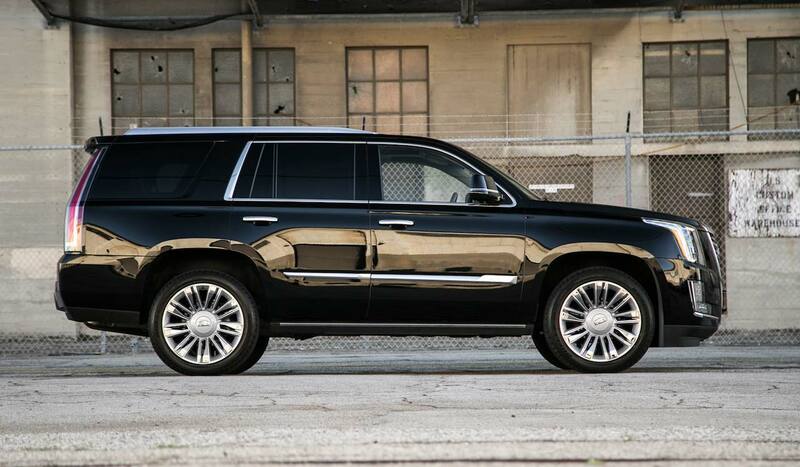 Form Meets Function: The Escalade ESV is designed with expert detail and engineered to deliver top performance. Its striking exterior is paired with the efficiency of its 420-hp, 6.2L V8 engine and 8-speed automatic transmission. 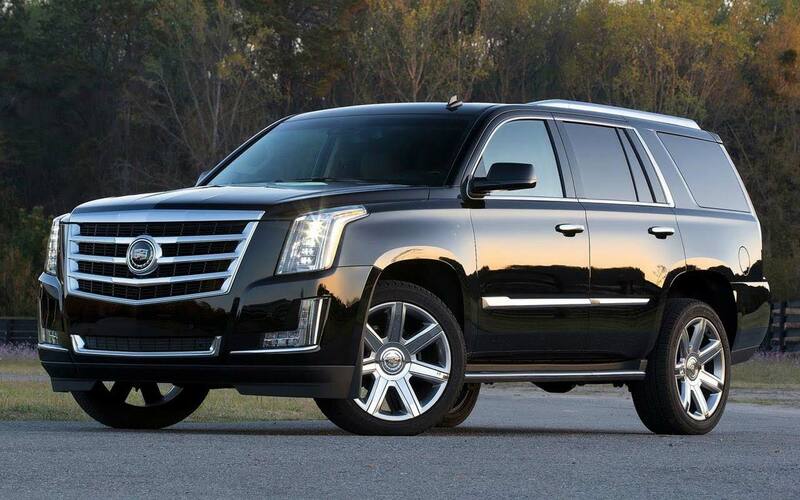 Expect a smooth and sleek ride with the Escalade ESV. 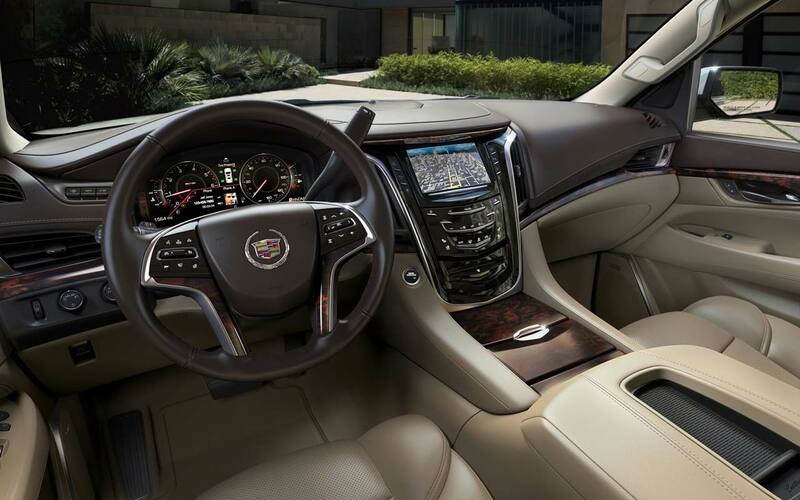 Supreme Comforts: Sophisticated and spacious, the interior of the Escalade ESV makes sure every drive is a pleasure. Outfitted with fine materials and top level amenities passengers can really take advantage of the ample room and relax while the journey gets underway. Quiet and comfortable the cabin makes all occupants feel at home on the road. Safe Passage: The Cadillac Escalade ESV is equipped with numerous innovative features to make the drive as safe as possible. Stabilitrak keeps you going regardless of weather conditions while a suite of radar, camera and ultrasonic sensors are working to detect any potential hazards. When reversing or driving at low speeds Surround Vision provides a bird’s eye-view of your surroundings, which makes both you to park and back out with more confidence. Exceptional Storage: With enough seating for seven passengers and their belongings, commuting has never been more comfortable. Advanced Entertainment: The Cadillac Escalade rental from Rotana Star is truly a digital entertainment powerhouse. With a premium sound system combined with input options such as an auxiliary port, MP3 player and a traditional CD player, traffic just got a little less boring. Hire Cadillac Escalade in Dubai, we strive to provide the best service in the area. At Rotana Star , we have many years of experience in the hire car field. As a result, we can bring value for money and top-notch service – guaranteed. A key reason for this is because we own our entire fleet of vehicles. This means we have more flexibility on price, unlike our competitors, who often lease their cars on a long-term basis. At Rotana Star, we make the process to Drive a Cadillac Escalade in Dubai for rent easy. The first step is the browse our website to find a suitable price. After this, contact us by sending in a request via our online form or by telephone. We aim to get back in touch soon after to finalize the deal. When the time comes to deliver the car, we offer two options: either pick-up the car from our Dubai showroom or take advantage of our popular door-to-door delivery service. Our premium car rental services allow you the chance to rent a Cadillac Escalade in Dubai or other SUV brand cars at affordable rates. Book online or over the phone and collect your rent a car or get it delivered in Dubai.